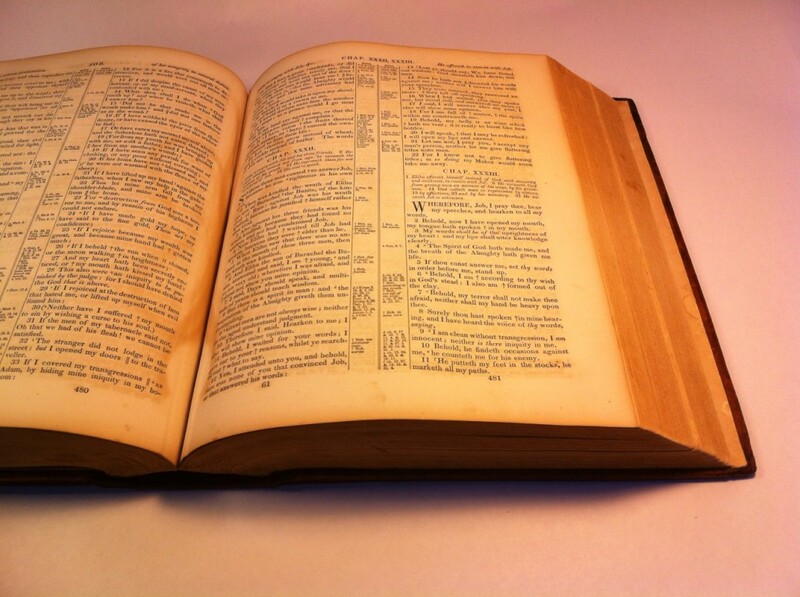 Though these bibles are not usually read, they hold important family records–dates of birth, death, and marriage and other genealogical information–and families want to pass on these big, ornate books to future generations. 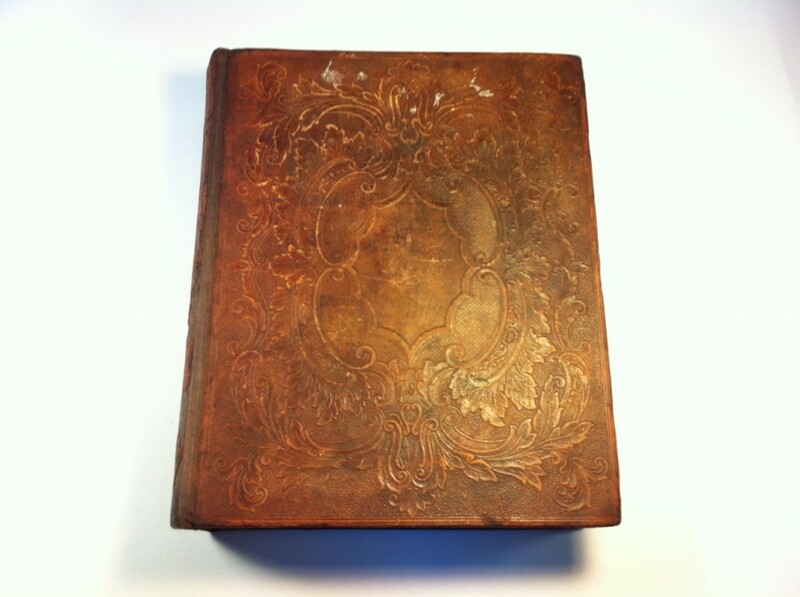 This family heirloom required a new spine and a reinforced hinge attachment to secure the original leather covers onto the book. 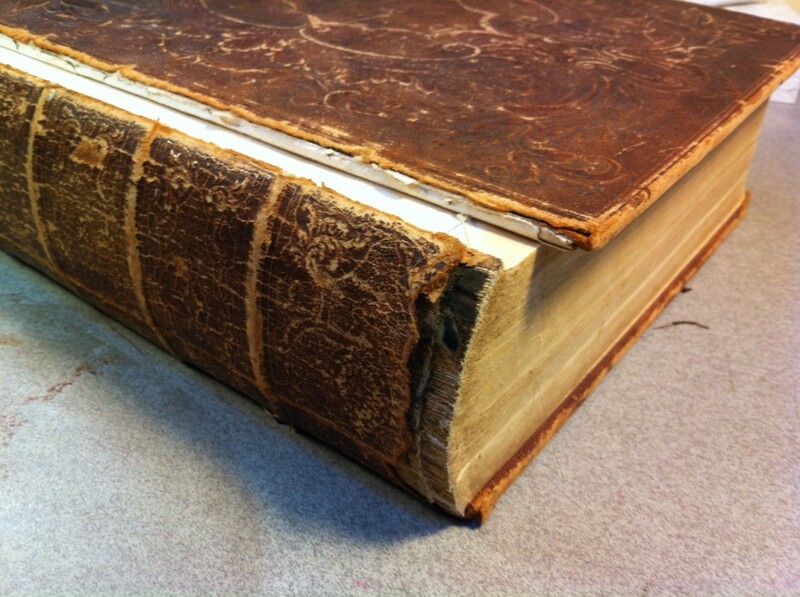 This is a very common problem with 19th century family bibles (and books more generally). 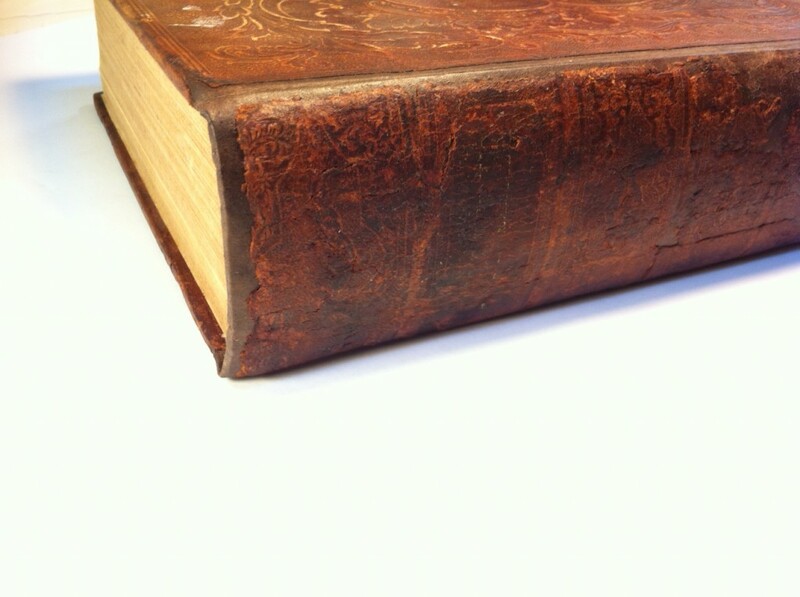 One of the main challenges in restoring this bible was removing the original spine from the text block. 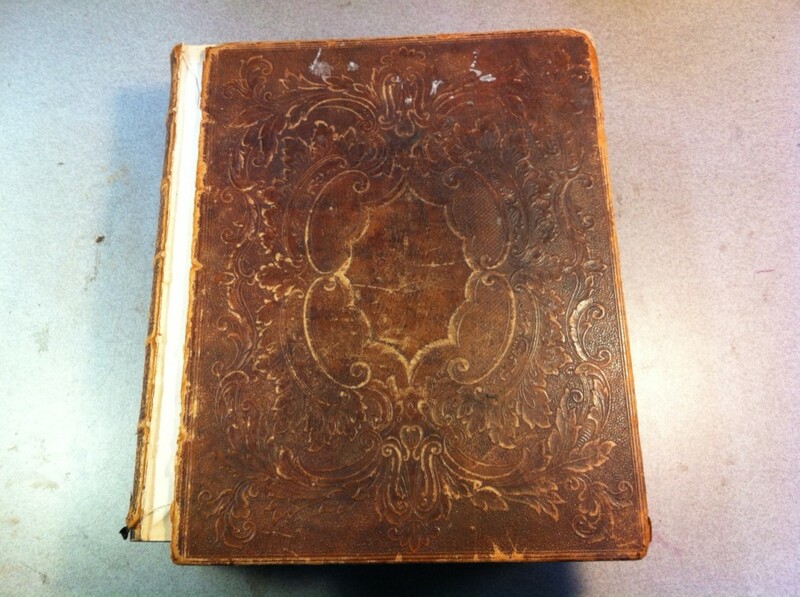 This book was originally bound as a tightback: the leather spine was glued directly to the text block instead of there being a hollow. Once I removed what I could, I cleaned off the old adhesive on the spine and put on a new spine lining, new hinge cloth, and a hollow tube for extra support. I also repaired the corners with paste, Japanese paper, and watercolors. 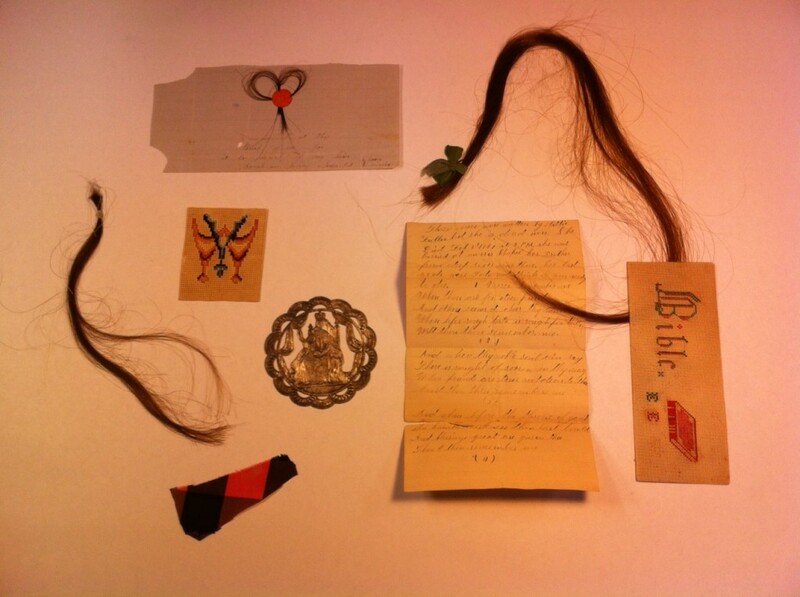 Here are some family memorabilia I found within the pages of the book. So cool! 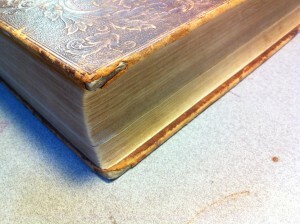 I constructed a new spine for the book but used what I could salvage of the original spine to paste over it. 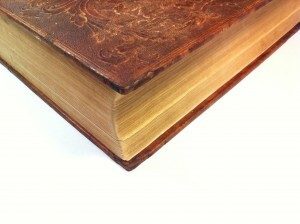 Although the original spine held no hard information, it made sense to put these shards back on, for visual continuity.